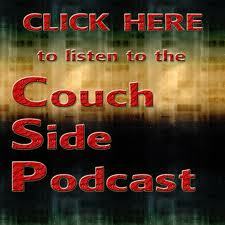 After one week off, Couch Side hosts Wade McMillin and Craig Paul return to review the 2012 NFL Draft. The gang also discusses Lamar Odom possibly leaving reality TV, the NHL playoffs and Hideki Matsui’s signing with the Tampa Bay Rays. Special guest this week is Heidi Pierce. Every year I make tons of mock drafts only to find out on draft day that it was primarily a large waste of time. These things are just too difficult to predict. There’s always a couple picks (exhibit A, Aldon Smith) that come out of nowhere and usually we see 5-7 trades in the first round alone. I’d say it’s more likely that someone would correctly pick every game in the NCAA tournament three years in a row before someone correctly picked the first round of one NFL draft. 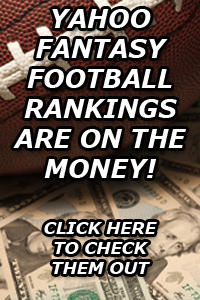 That said, mock drafts are still great because you can make bets with friends, learn about the top prospects, see which teams are in good or bad positions, and narrow down those four or five guys that your team is probably targeting. So here’s a (hopefully) interesting look at the first round of the draft that begins this Thursday night. 1. Indianapolis Colts – Andrew Luck, QB, Stanford – I don’t think I need to say too much about this one. He’s the best quarterback I’ve ever seen and will be one of the next faces of the NFL. 2. Washington Redskins (from St. Louis) – Robert Griffin III, QB, Baylor – This is another no-brainer. Perfect fit for Shanahan’s scheme and brings the star power that this franchise desperately needs. 3. Minnesota Vikings – Matt Kalil, OT, USC – I think that the Vikings front office will be torn between Kalil and Morris Claiborne. Claiborne is the better prospect in my book, but I think at the end of the day the Vikings will have to take Kalil to help out both Christian Ponder and Adrian Peterson. This team is rebuilding, and a franchise left tackle is a must. 4. Cleveland Browns – Trent Richardson, RB, Alabama – I think that the Browns will be intrigued by both Claiborne and Justin Blackmon, but this team needs playmakers more than another shutdown corner and it’s a deep receiver class. The running back position is becoming less and less important in today’s NFL, but Richardson is an elite talent who should have eight Pro Bowl caliber years in him. To me, the Browns have to take him. In this week’s episode, special guest Andy Paul joins the show to discuss how the Giants will follow up their Super Bowl win and how the Patriots will look to rebound after the big loss. Also in the “Halfcourt Shot,” the gang debates if Kevin Love is a top five NBA player and the impact of Chauncey Billups’ season ending injury. And finally, Couch Side takes its first look at the NFL Draft in a special edition of Quick Snippets. 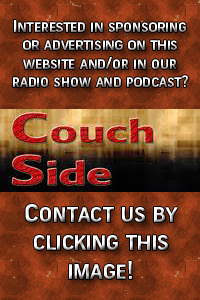 Click Below to listen to Couch Side!